From the azure waters of Mexico to the golden beaches of the Maldives, there’s plenty of excellent surf destinations around the world for both budding surfers and experienced daredevils. For vacationers looking to balance their time on the water with a little pampering in paradise, luxury surf hotels and resorts are plentiful to provide just that. These lavish lodges offers unrivaled comfort, world-class dining, utmost seclusion, and access to some of the world’s best beach breaks. So, whether you are relaxing on your private deck of your overwater villa with a drink in your hand, or chasing the thrill of your next barrel, here are some of the world’s best surf destinations and resorts scattered across the globe that will add a splash of luxury to your surf holiday. Being named the #1 Hotel in the World by Leisure + Travel for two consecutive years, should be enough to make you want to pack your bags, hop aboard a plane, and set out to discover the magic of a place so spectacular to earn such coveted recognition. Situated between lush jungle and pristine beach, the Nihi Sumba is a luxury surf eco lodge located on Sumba Island in Indonesia. This beach hostel turned five-star resort, is a haven for adventure and home to one of the world’s most exclusive waves, known as “God’s Left” or “Occy’s Left”. With a one and a half mile stretch of paradisiacal beach, pros and novices alike can catch some of the best waves in Indonesia. Experienced surfers, be sure to reserve your spot on Occy’s! With the growing popularity of the wave, the resort limits the wave to only ten registered surfers per day to maintain an unparalleled surfing experience. Whether you are attempting advanced power carves and fin throws or simply trying to paddle and find your footing as a beginner, the Nihi Sumba provides an unforgettable experience. Stretched across two pristine islands, “Play” and “Chill”, Niyama Private Islands Surf Resort offers the perfect balance for thrill seekers and “chillaxers”. 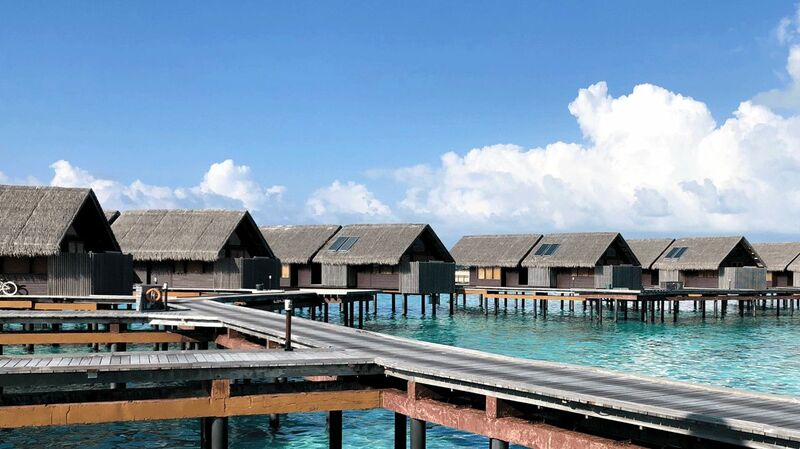 Niyama features both beachfront suites and overwater villas, all with postcard worthy views of the azure lagoon. Not only does the resort boasts five-star opulence, but it is also the home of “Vodi”, one of the best waves in the Maldives. The wave breaks directly onto the island, making it a surf lover’s dream locale. Even if you are not a surf pro, no worries, the resort offers lessons for people of all skill levels. When you need a break from the waves, refuel at one of the nine dining avenues, lounge poolside at your private plunge pool, or perhaps partake in a spa treatment to ease those aching muscles. You can even break out your best moves at Subsix, the world’s first underwater nightclub. Described as Morocco’s version of Saint-Tropez, the coastal village of Oualidia is a go-to surf destination for surfers looking for a low-key beach vibe, away from the frenetic pace of Marrakesh and Fez. Oualidia is where you will also find the La Sultana, a luxe 12-room boutique hotel, nestled on the golden beaches of a crescent-shaped serene lagoon. The Moorish-style palm-lined property oozes charm with its opulent living spaces, unrivaled views, and frequent visits from the flocks of flamingos that dot the beach. 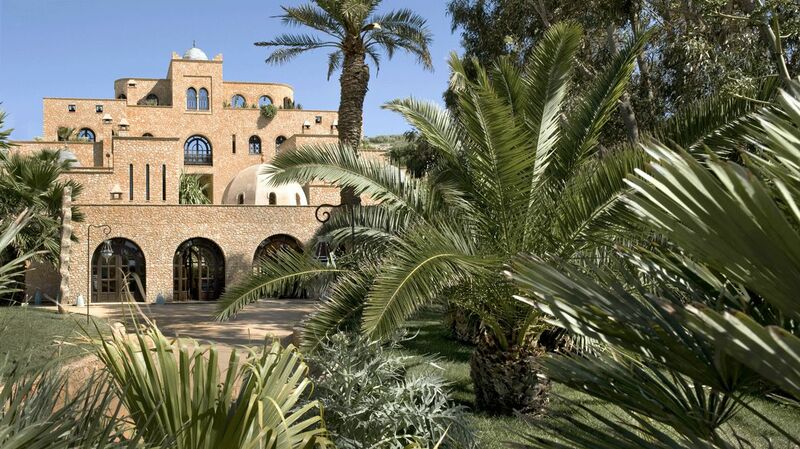 Whether you are soaking in one of the Atlantic Ocean-fed, salt-water jacuzzis, sweating it out in the toxin-freeing hammam, or catching some of the best waves in Africa, the La Sultana Oualidia is the ideal surf resort, providing the perfect balance between relaxation and adventure. If you are a beginner surfer, the La Sultana is an incredible place to learn the basics in easy and safe conditions. Experienced surfers, you will find high tides on the other side of the lagoon, especially at the famed “Les Tomates” and even a tube wave located near Safi, the fishing port town. Beginner surfers and pros alike can enjoy the thrills of catching waves during their stay at the Anantara Peace Haven Tangalle. This exotic surf getaway is nestled amidst 42 acres of lush coconut plantation, along a secluded stretch of Sri Lanka’s stunning southernmost coastline. 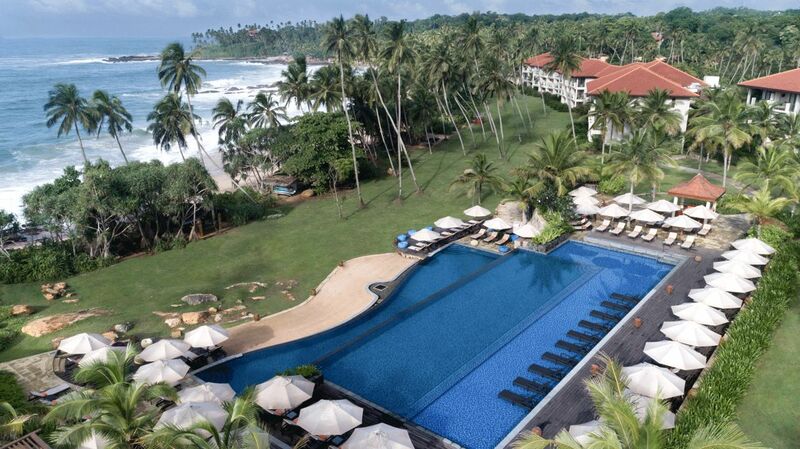 Take your pick of the 152 rooms boasting Sri Lankan culture imbued with contemporary comforts. The activities offered are endless, from Ayurvedic yoga to unforgettable safaris, and of course world-class surfing. Head about 15 minutes out from the resort, where undiscovered tropical beach breaks will get your heart pumping. This secluded coastline is perfect for beginners as only a few people know about it, so you are away from the crowds and the waves are all yours. 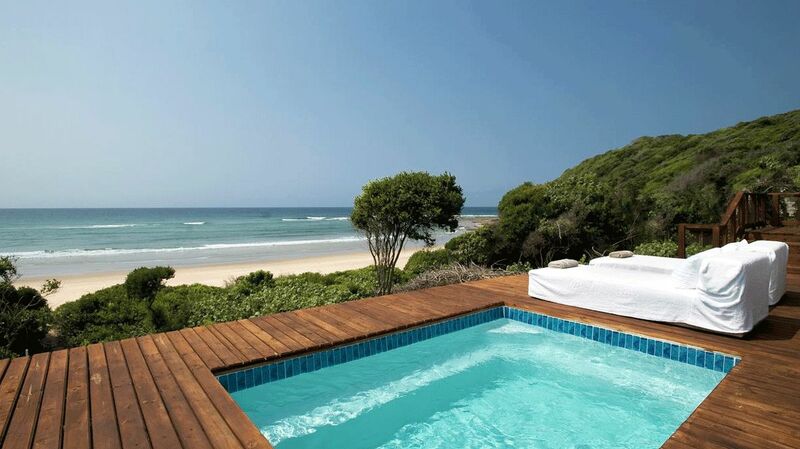 Here lies the Indian Ocean with its pristine beaches to the east and the Maputo Special Reserve with its unspoiled African bush to the west, making the White Pearl Resort one of the most unique luxury safari and surf destinations in Mozambique. The resort offers 22 stylish, ocean-facing suites, featuring clean lines and a beach chic maritime theme. Discover the depths of the deep blue and its exotic inhabitants with PADI diving lessons or a fun snorkel adventure. Enjoy long hours of beach breaks without the nuisance of crowds, as this lesser known Mozambique surf spot is usually only frequented by a few locals, and the occasional pod of friendly dolphins swimming right next to you. The surf is excellent for surfers of all levels, at Ponta Mamoli, with long stretches of sand-bottom point breaks. More experienced surfers can find powerful waves at Ponta do Ouro. 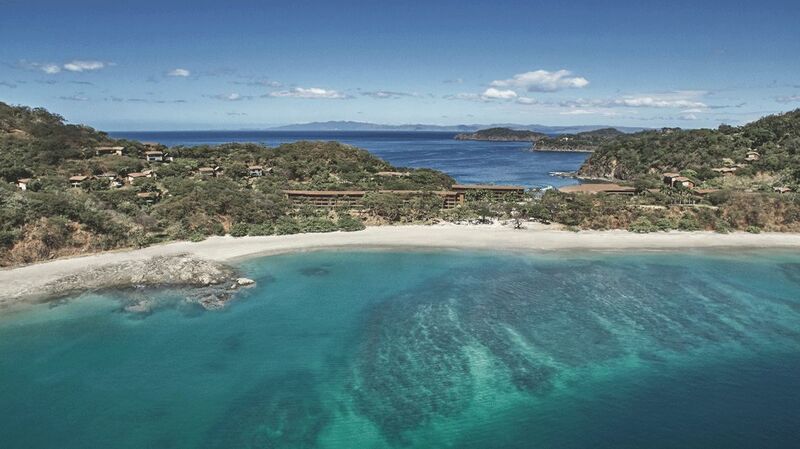 With its own private beach, the White Pearl Resort is the perfect mix of surf adventure and luxury getaway. 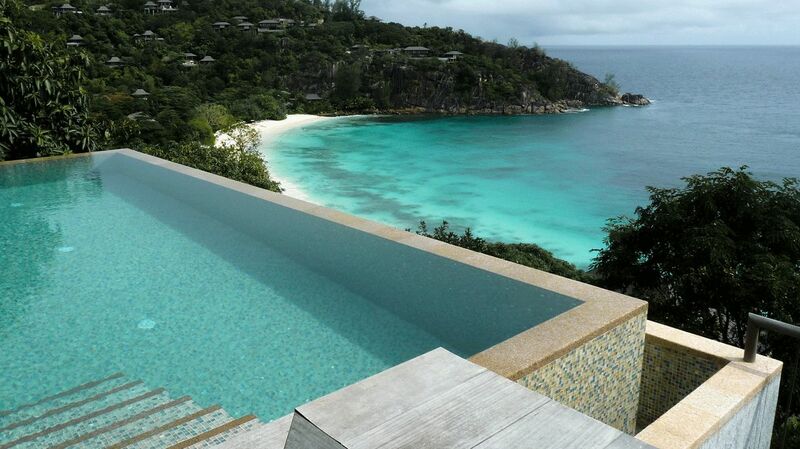 If you have ever dreamt of staying in a treehouse, the Four Seasons Resort Seychelles will far exceed any expectation your imagination can possibly conjure up. As if staying in a treehouse isn’t amazing enough, the surfing opportunities will completely blow you away! The resort is comprised of 67 secluded and stilted villas that rest among tropical treetops, overlooking the white sandy bay of Petite Anse. Although you wouldn’t think the Seychelles would be a surf destination, the surf breaks are plentiful and surfers of all levels can appreciate this crowd-free gem. The Four Seasons Seychelles offers a more laid-back surf experience, with calmer, tropical waves, so for those riding longboards or fish boards, this is the perfect spot for you. After a day of chasing waves retreat back to your luxurious villa and lounge on your private deck or take a dip in your very own infinity pool as the fragrant scent of cinnamon and frangipani waft through the air, creating an excellent vibe for relaxing. 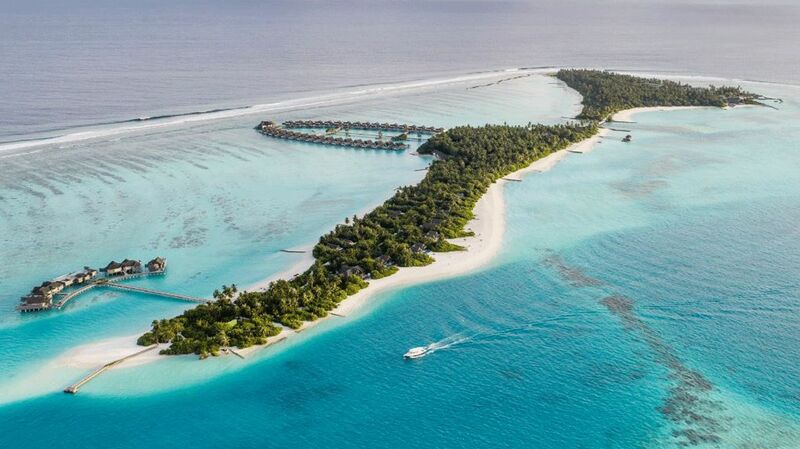 The heart-shaped atoll, in which this tropical sanctuary resides, is an all-telling sign of just how much you will fall in love with the high-class surf resort Shangri La’s Villingili. Enjoy unrivalled luxury and world-class surfing all in one idyllic location, where the ocean is your playground. Just a short boat ride away you will find four different surf breaks. On the east coast of the island, there are right handers where barreling tubes are bountiful. If you like a little unpredictability, head over to Villingili/Madihera where waves change from meek to mighty within meters. You will also find completely uncrowded waves, making it the perfect destination for mellow surfers. The best time to surf Addu Atoll is from April to October. Other unforgettable experiences offered by the Villingili include diving, snorkeling, sunset sailing, paddleboarding, and the list goes on. 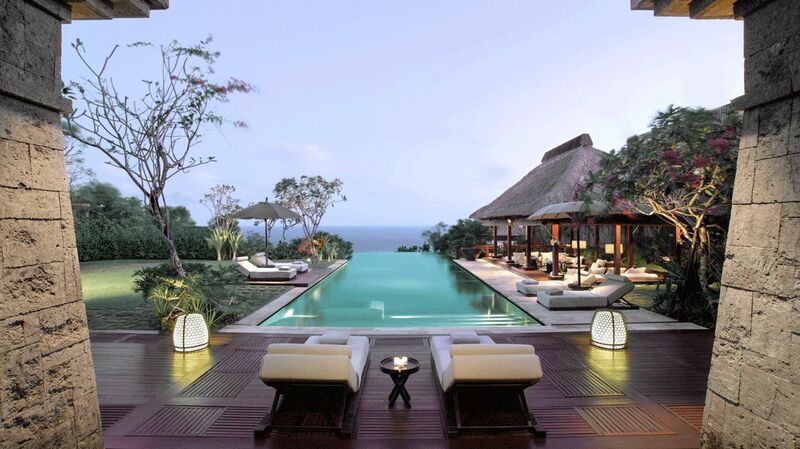 The Bulgari Resort Bali blends traditional Balinese style with contemporary Italian style and features a range of top-notch villas and mansions ranking from one to five bedrooms. 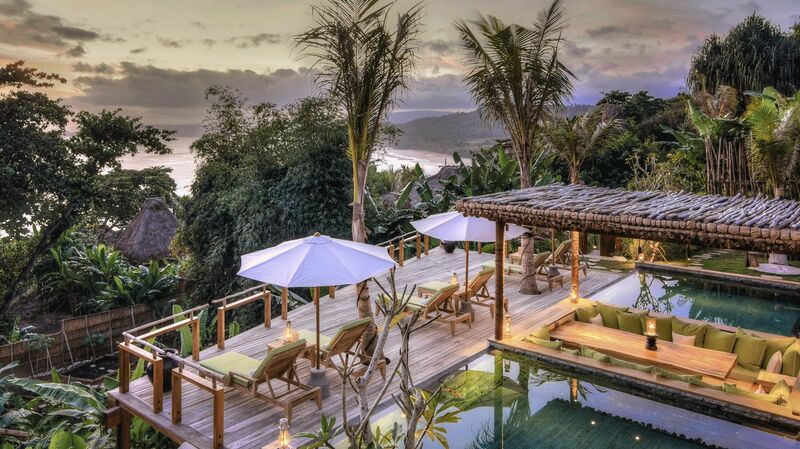 The exquisite property sits atop the dramatic cliff of Uluwatu and offers breathtaking vistas from every angle. Uluwatu is renowned for being the ideal destination for a surf holiday in Bali and for its incredible surf break. However, only pros and experienced surfers should brave these waters, as the swells are large and not suitable for someone just getting their feet wet, so to speak. With water temperatures averaging 85°F (29 °C) and jam-packed with surf breaks, it’s no wonder this magical place has been dubbed “Island of the Gods”. Additional excursions such as helicopter flights over volcanoes, cultural trips to local markets, and holistic treatments can all be organized by the Leisure Concierge. 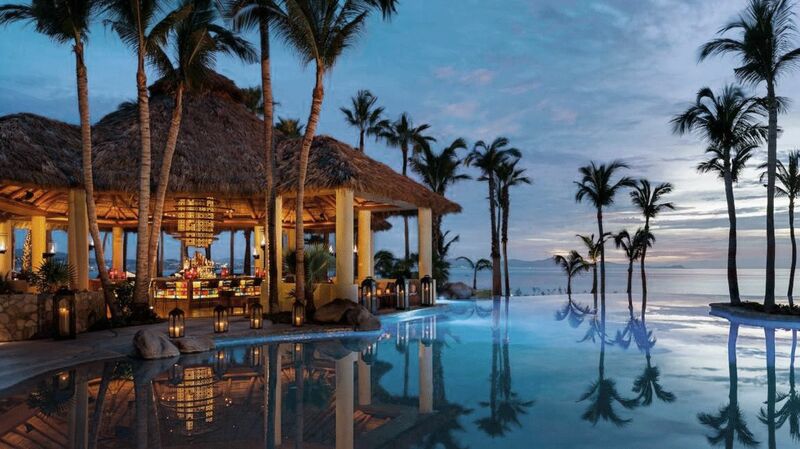 The One&Only Palmilla boasts old-world charm, combined with modern luxury and thrilling surf adventures, making this exclusive surf resort a favorite destination of Hollywood’s elite. You may not have your name encrusted on a star; however, you will feel like an A-lister with the sublime service and staff that caters to your every need. The One&Only offers 174 rooms, where the idyllic view of the Cortez Sea is the star of the show. The Baja Peninsula is a surfer’s paradise: Revel in the thrill of the chase and landing the perfect wave, as you will be able to catch sandbar beach breaks, long rolling breaks, as well as short breaks along this stunning coastline. As the coup de grâce to a long day on the water, treat your body to some blissful pampering at the One & Only Spa. The list of reasons why Costa Rica should be high on your bucket list is endless. From ziplining through the jungle to exploring the rainforests, hiking active volcanoes, and of course surfing world-class waves – it is the ideal travel destination for the adrenaline junkie who seeks adventure. Pair all of this with a luxurious stay at the Four Seasons Costa Rica, where the resort takes barefoot luxury to a new level. With 175 rooms nestled on the hillside, overlooking the Pacific Ocean, this resort brings you opulent beauty in true Four Seasons fashion. It is also the closest resort to the renowned waves of “Witches Rock” and “Ollie’s Point”, making it an excellent base for catching consistent swells all year round. Surfers from all over the world flock to this iconic surf vacation spot, made largely popular by the “Endless Summers” movies. Organized surf lessons are available with experienced instructors for surfers of all experience levels.